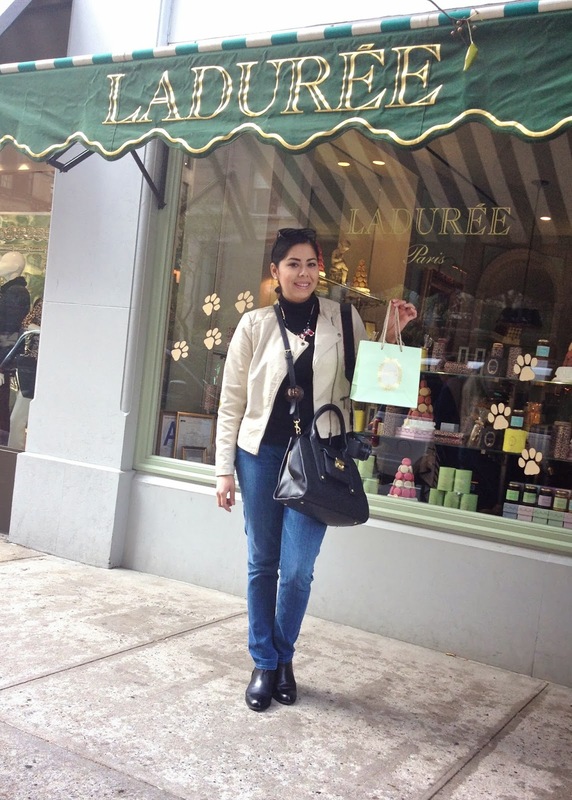 And so, my New York posts continue… and what better way to taste a tiny bit of Paris in NYC then to have some macaroons from Ladurée? 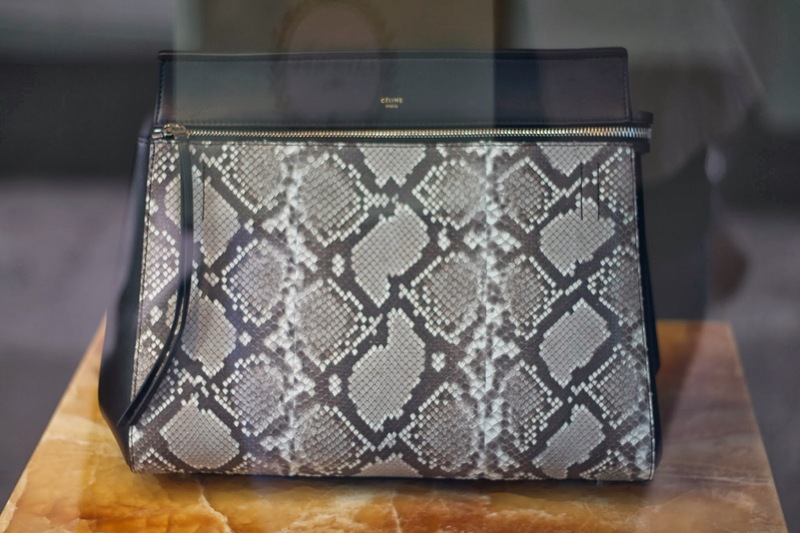 The location of Ladurée New York is right on Madison Ave (down the street from Céline), so as I took a bite into a macaroon, I stared in awe at some Céline purses on the window à la Holly Golighty in Breakfast at Tiffany's. 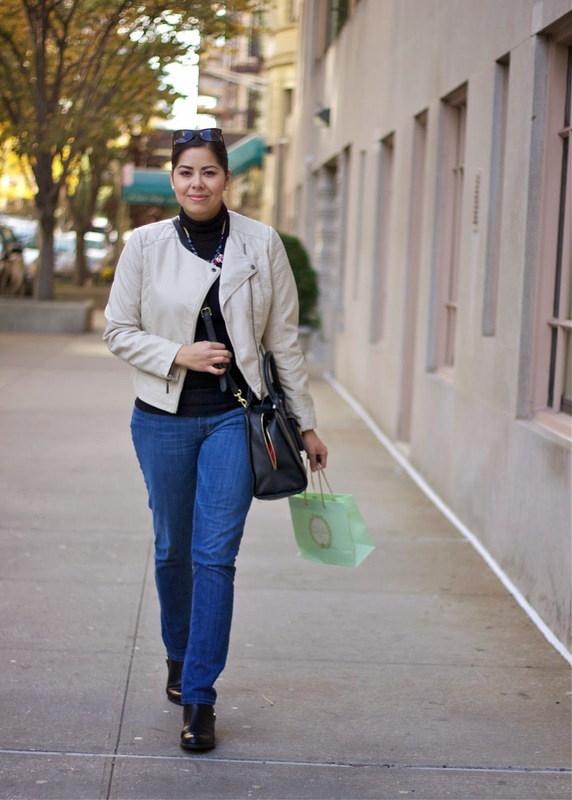 A turtleneck, jeans and flat booties were essential to walk around in NYC and this moto jacket from Wallis was such a great touch not only because it isn't black like all the other moto jackets, but it was very comfortable. 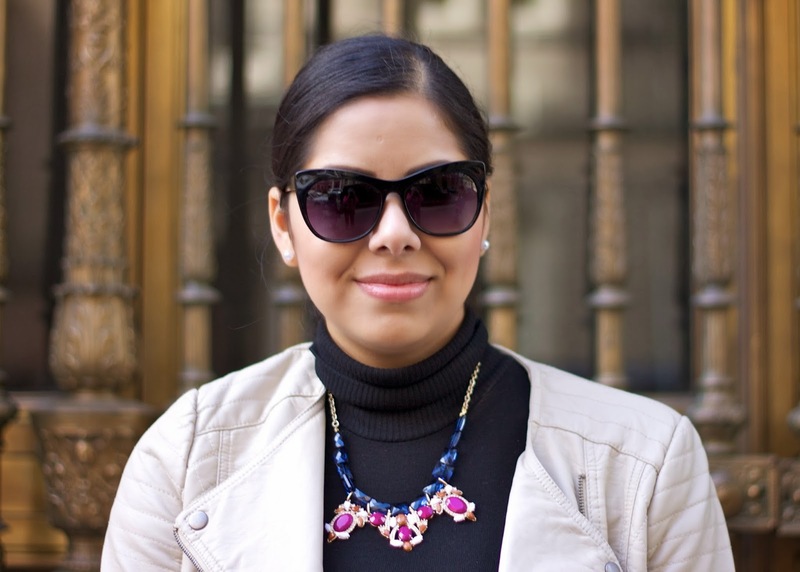 I added a cute necklace from Bold & Stylish to give the outfit a small touch of color and headed off to walk some more. 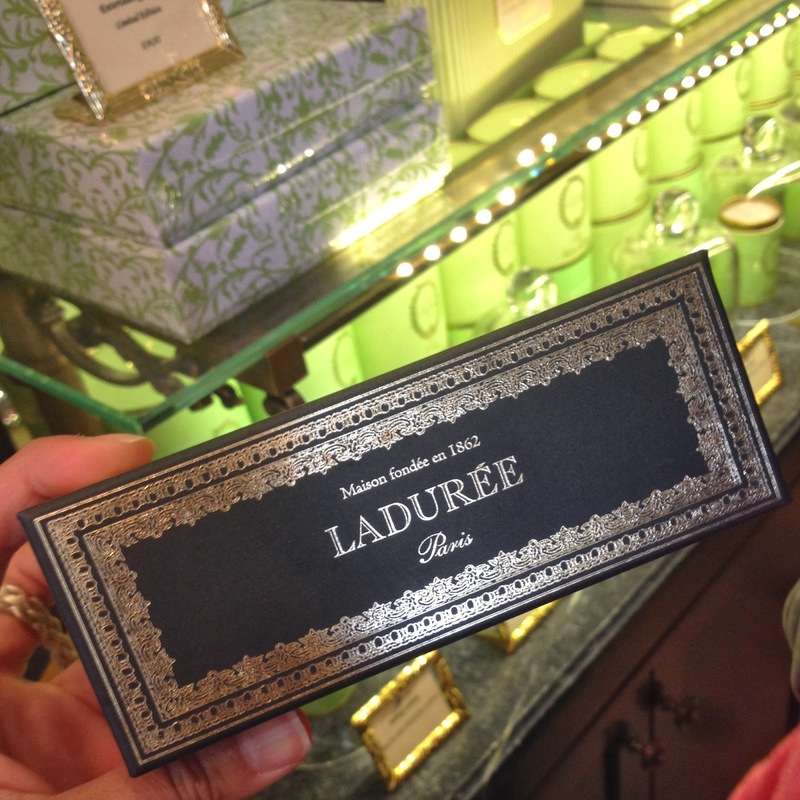 This is what I plan to do with my Laduree box! Photo from Paris in Four Months. 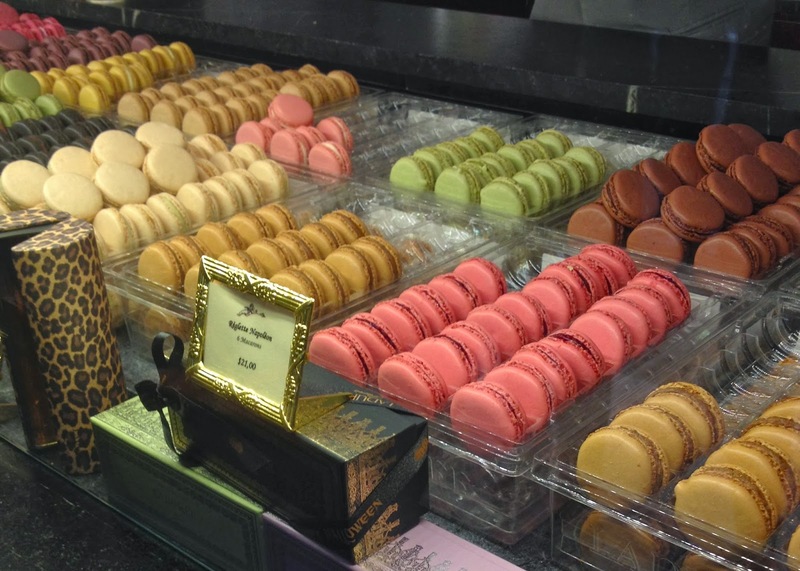 Want a piece of Laduree in your home? How cute is this Laduree: The Sweet Recipes Book from Anthropologie? 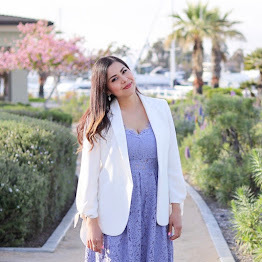 Macaroons and Céline? yes please! You took lovely pictures, definitely very Breakfast at Tiffany's! 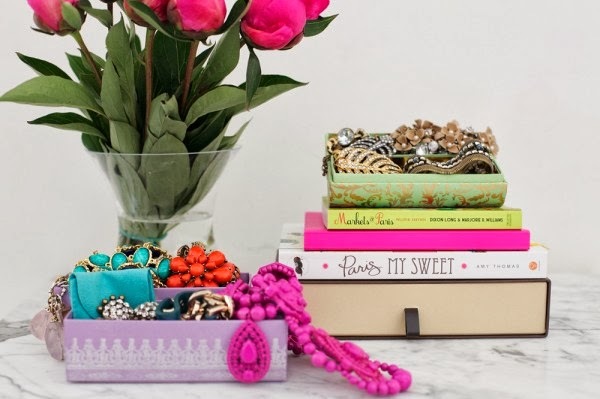 The box makes a lovely jewellery container! 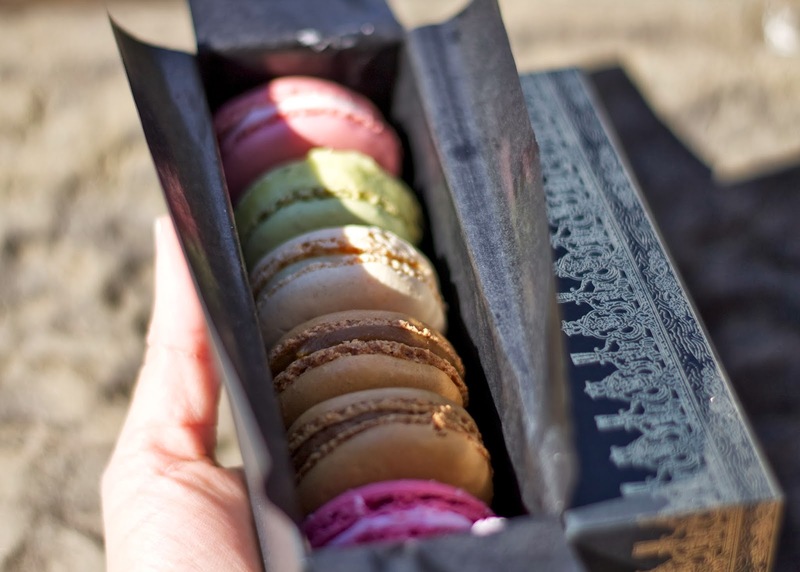 Ahhh those macaroons look amazing and the packaging! How Sweet!